Come visit us at the Automate Show in Chicago - Booth #8414! 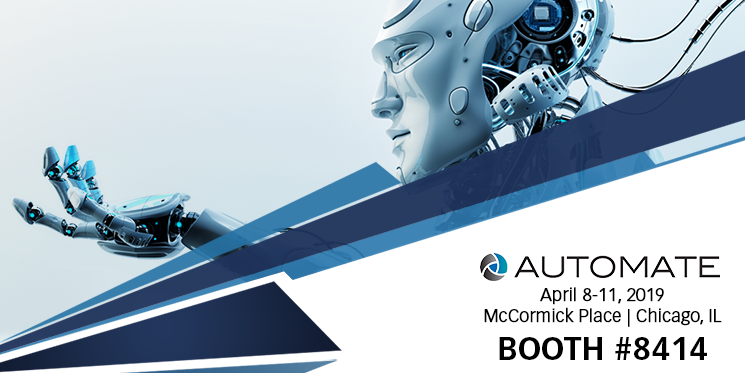 We will be exhibiting at Automate 2019 from April 8-11. Stop by to see our showcase of encoders geared for the automation and robotics industries. We hope to see you there! Lika Electronic has successfully developed solutions for the automation industry since 1982, becoming a leading manufacturer of optical encoders, magnetic measurement systems and positioning units in Europe. Thanks to flexible production, Lika can realize customer specific requirements, focusing attention on performance and functionality. Lika's product range today includes: incremental & absolute encoders; linear & rotary magnetic measurement systems; integrated positioning units; displays & position controllers. Lika Electronic Italy is an independent entity, separate from the North American sales offices, Lika USA and Hymark Ltd.